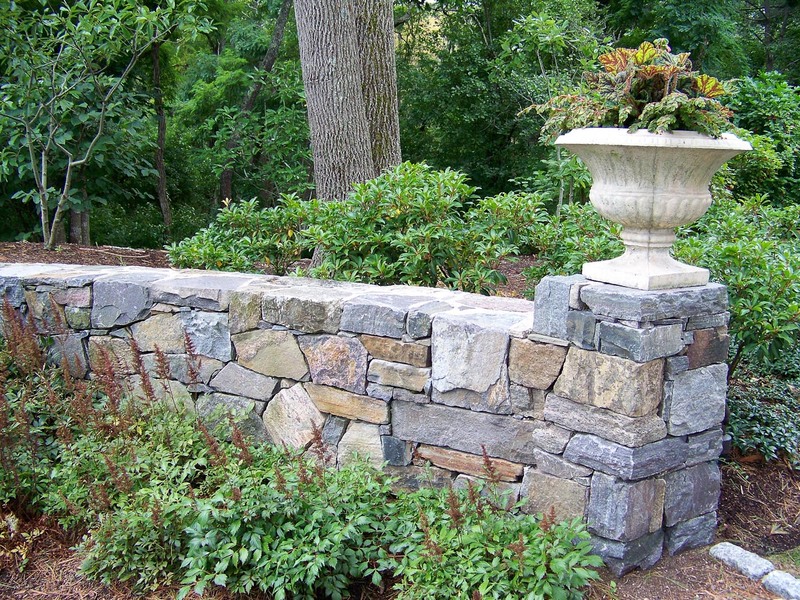 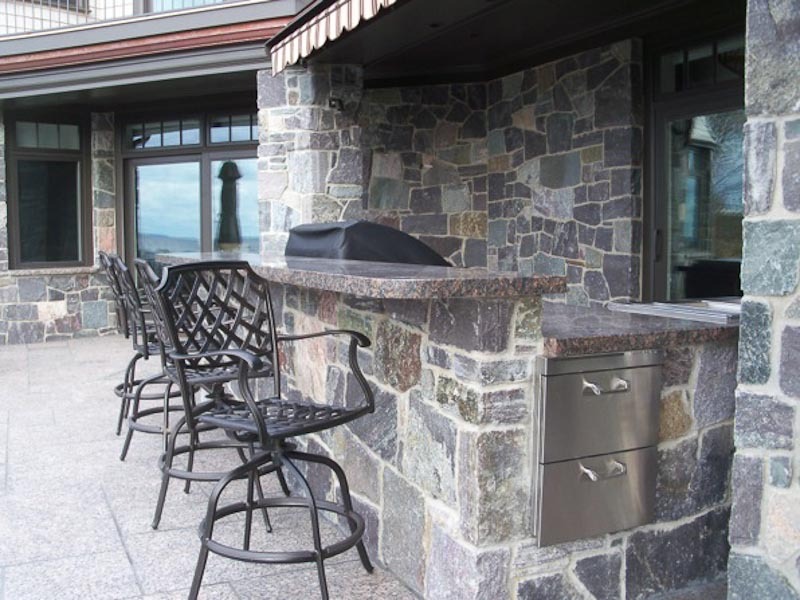 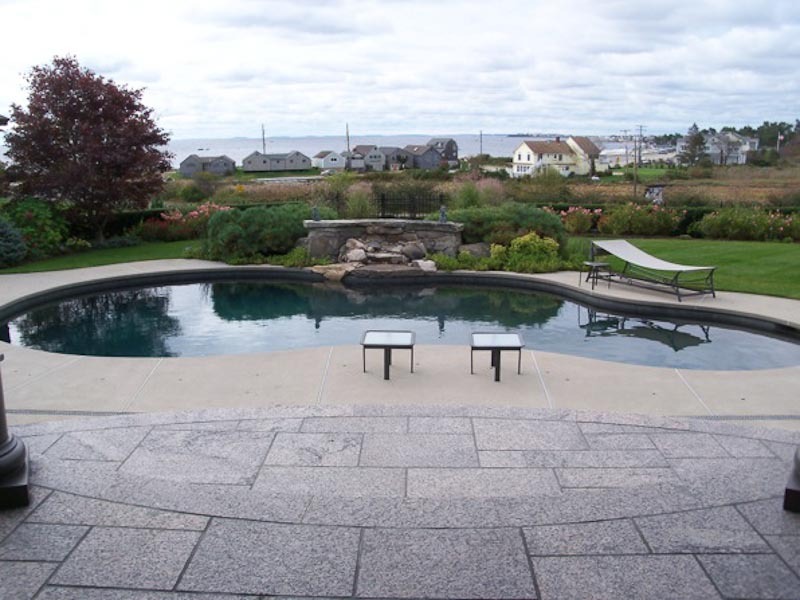 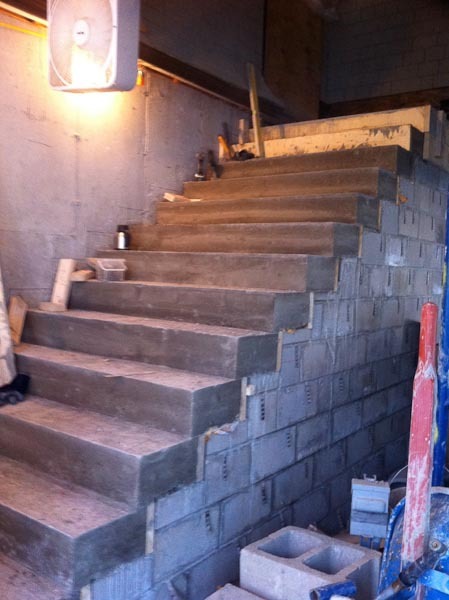 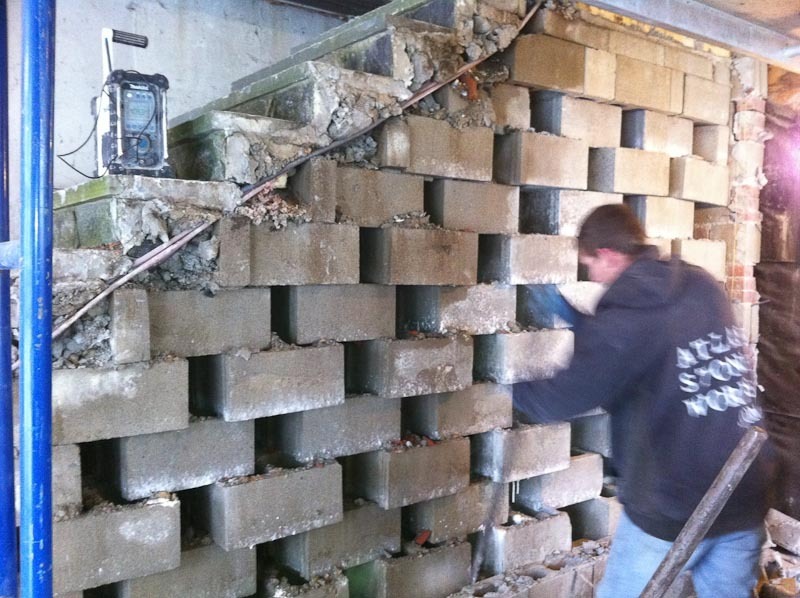 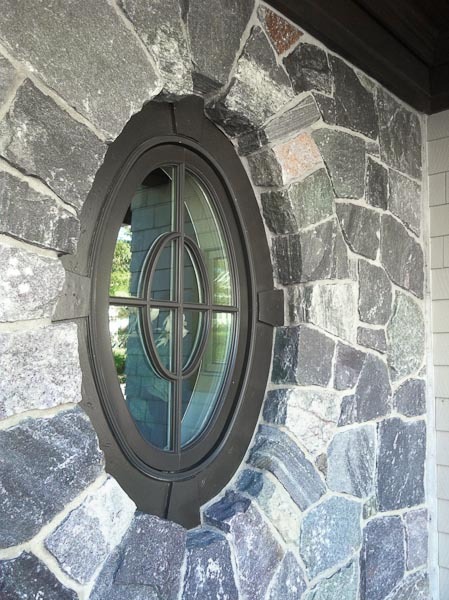 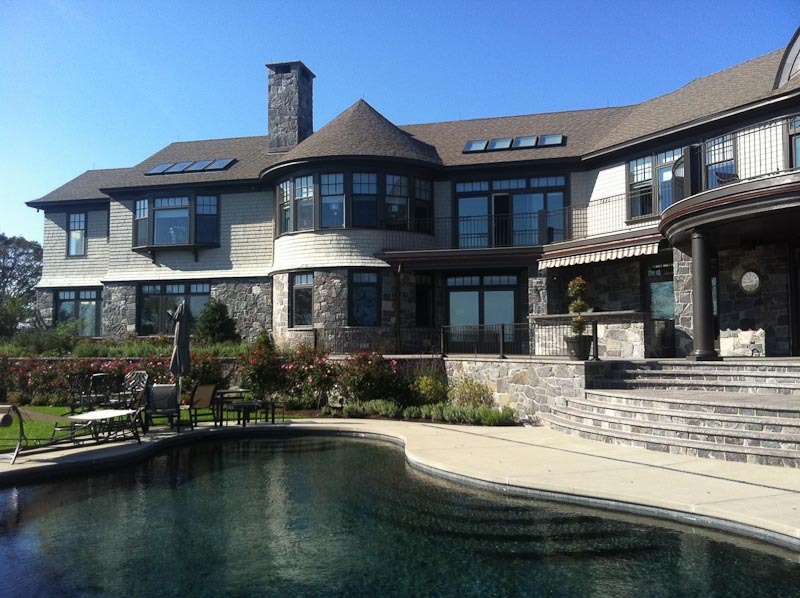 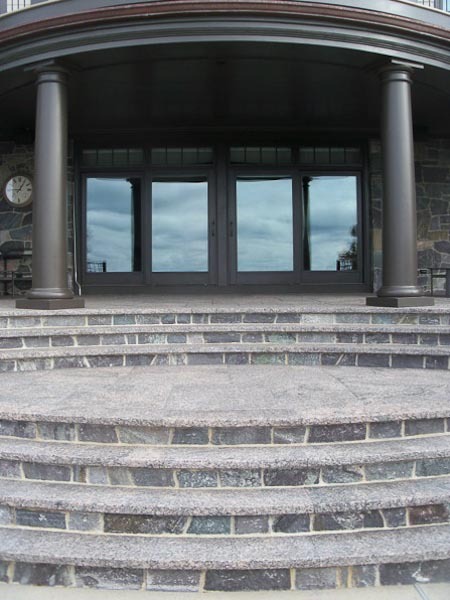 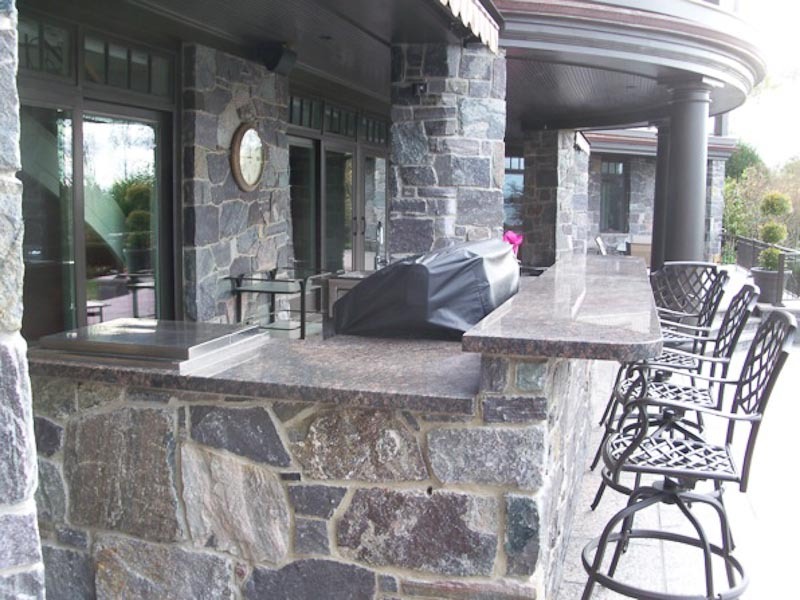 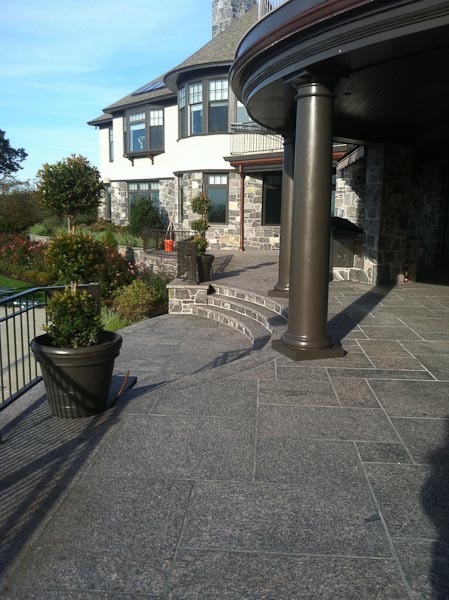 In 2010 we undertook what we thought was “merely” the renovation of a very poorly laid 1,600 square foot bluestone patio, but what quickly snowballed into a massive renovation of all the masonry at a home in North Hampton, NH. 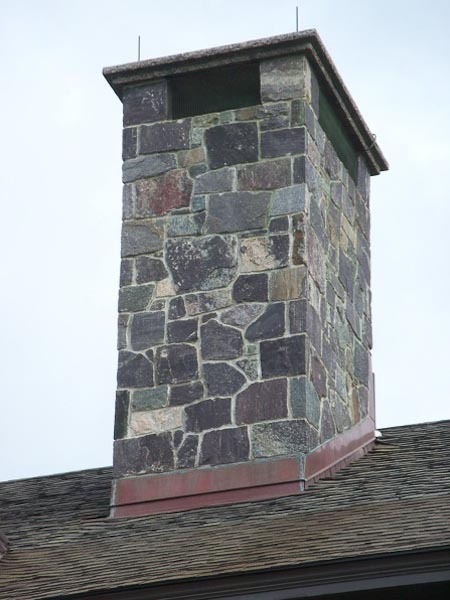 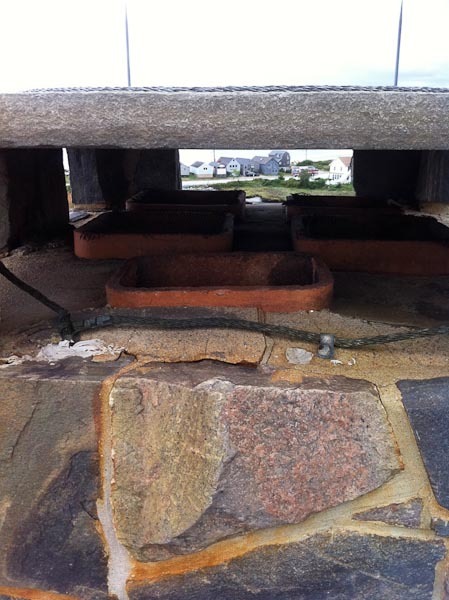 The original patio, retaining walls, exterior veneer and chimneys had been executed so poorly that while only 7 years old, were on the verge of complete failure. 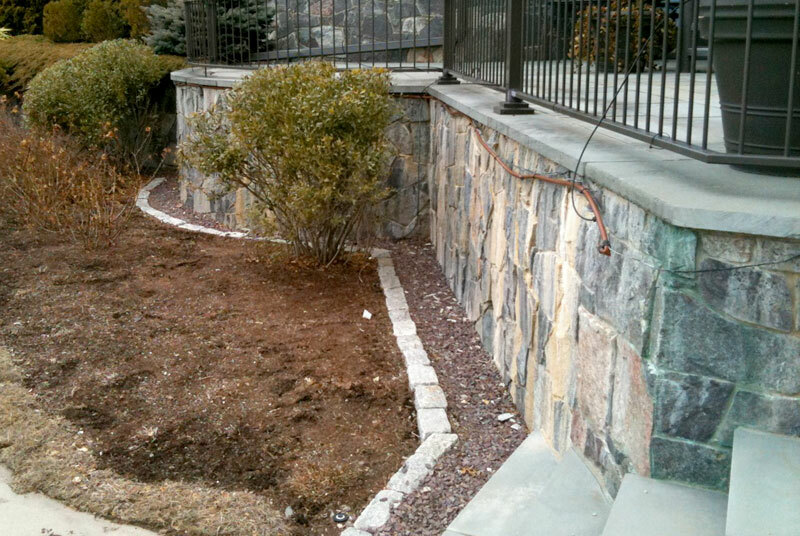 Efflorescence is a type of discoloration (usually white in color) that occasionally develops on the surface of concrete or stonework.